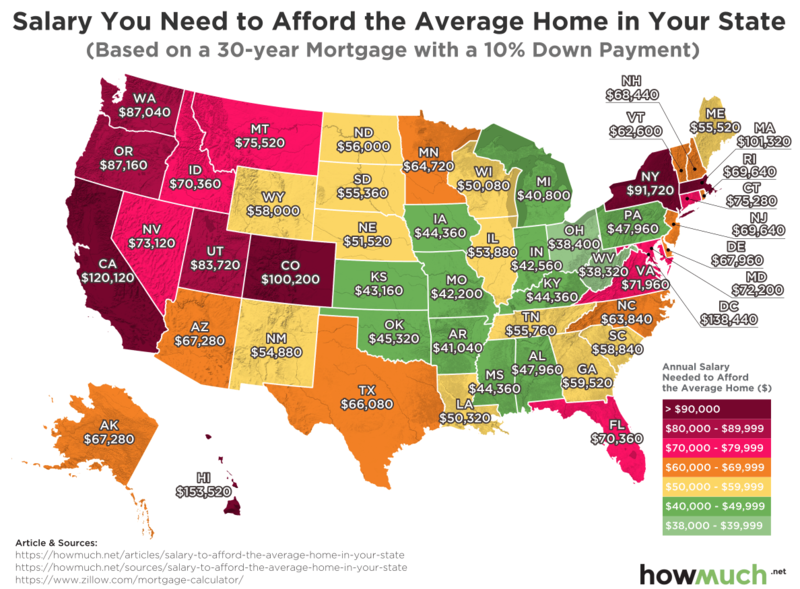 Check out our map below to find what salary you need to make to afford the average priced home in York. Have some fun with this and check out what you could afford in other states! Disclaimer: based on a 30-year mortgage with a 10% down payment. Contact us today and we can discuss.